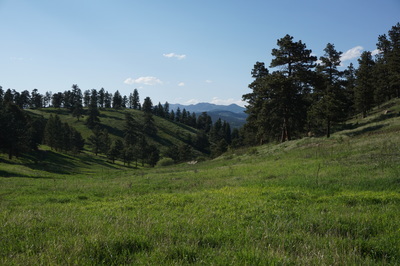 Directions: From Denver take I 70 west to C-470 east. Exit at the Morrison Exit and turn right onto 74 as it passes through Morrison. Continue on 74 past Idledale and when you reach Kittredge turn left (south) onto Parmalee Gulch Road. After a brief uphill drive, you'll see the small trailhead on the left, just before the parking are for Pence Park on the right. 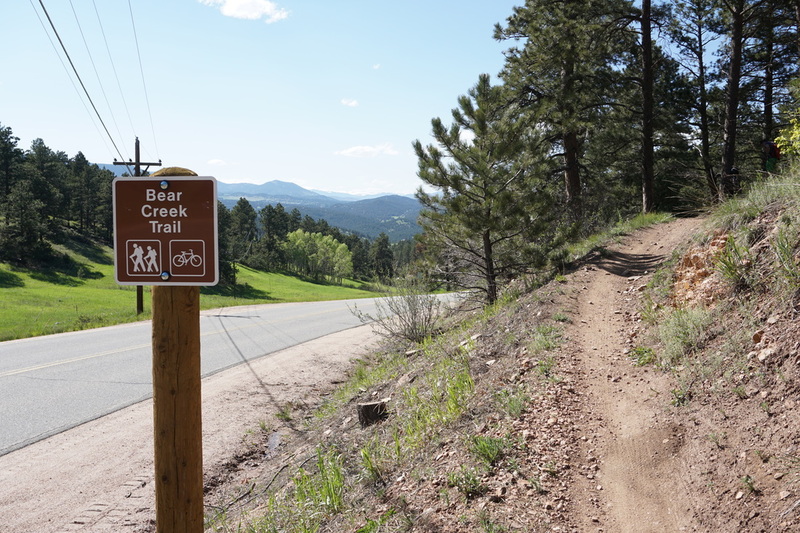 You can park along the road in front of the trail sign or park at Pence and walk across the road to the trailhead. 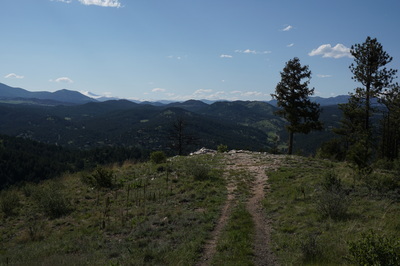 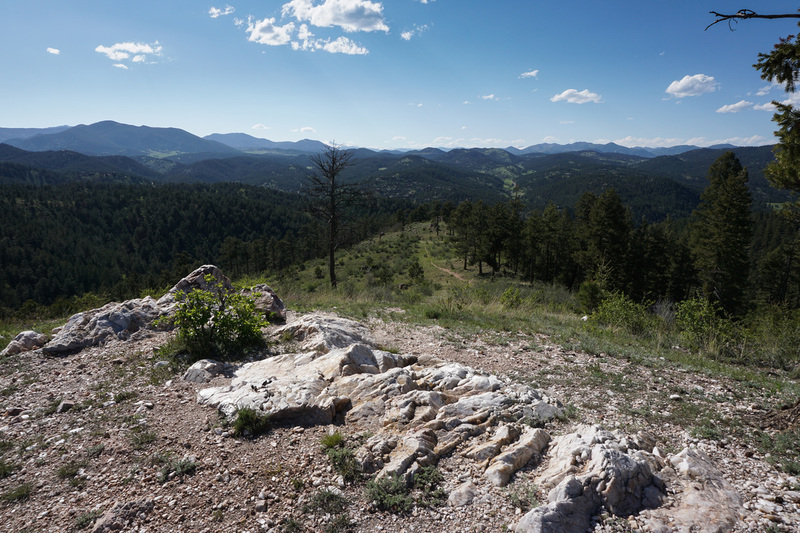 The Vista is one of the best viewpoints in the Denver foothills. 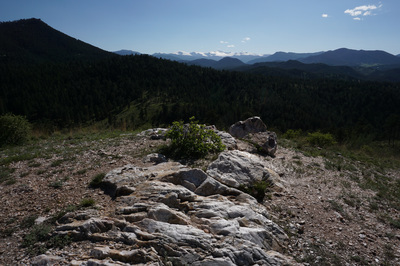 The Vista can be reached by a number of routes but this one proves to a moderately difficult route, but also a lot of fun. 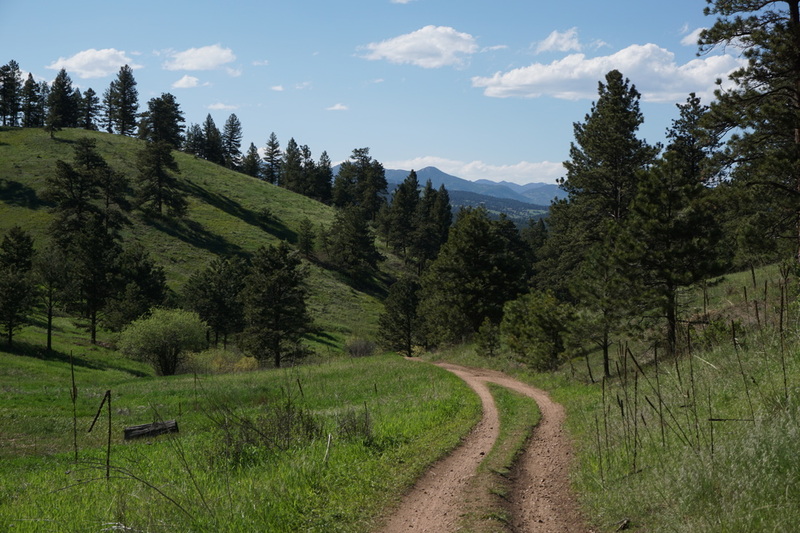 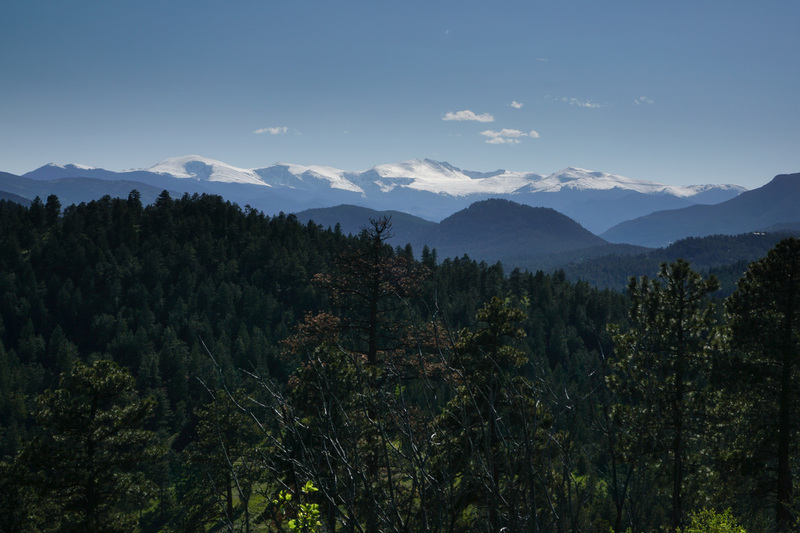 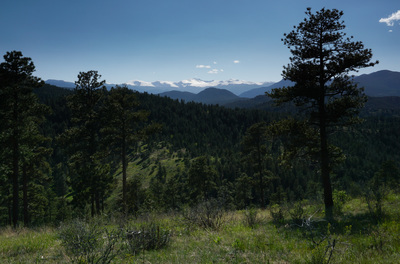 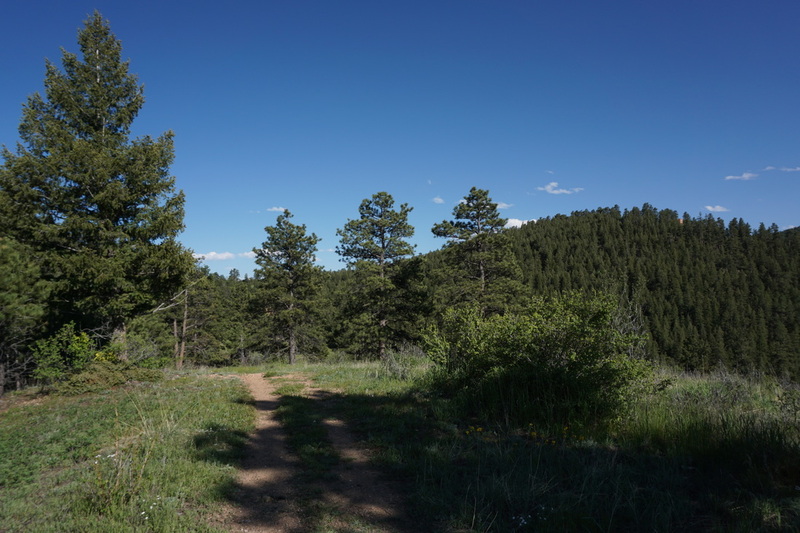 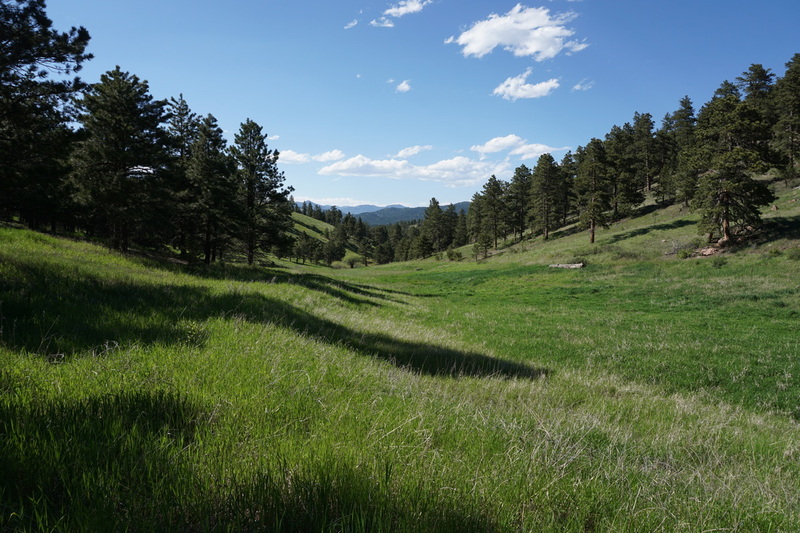 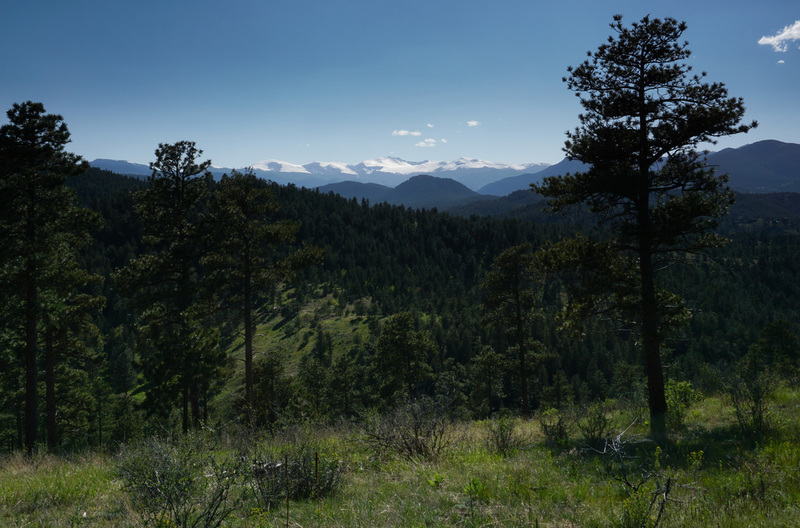 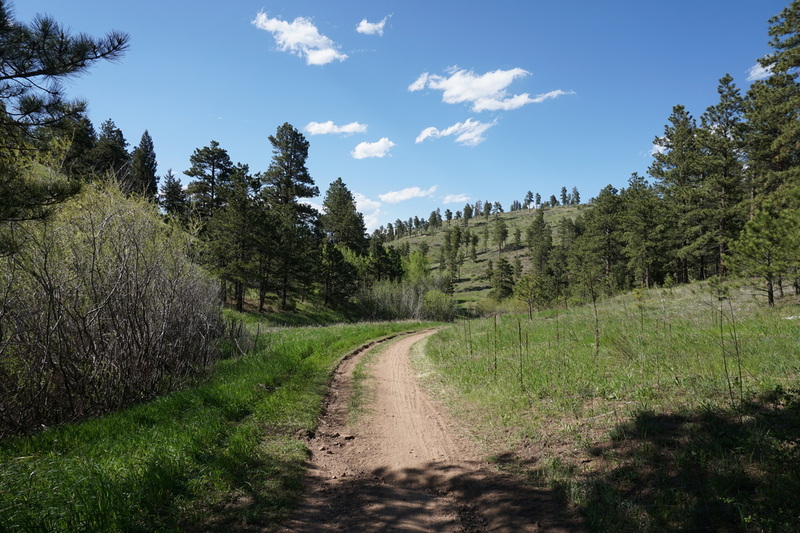 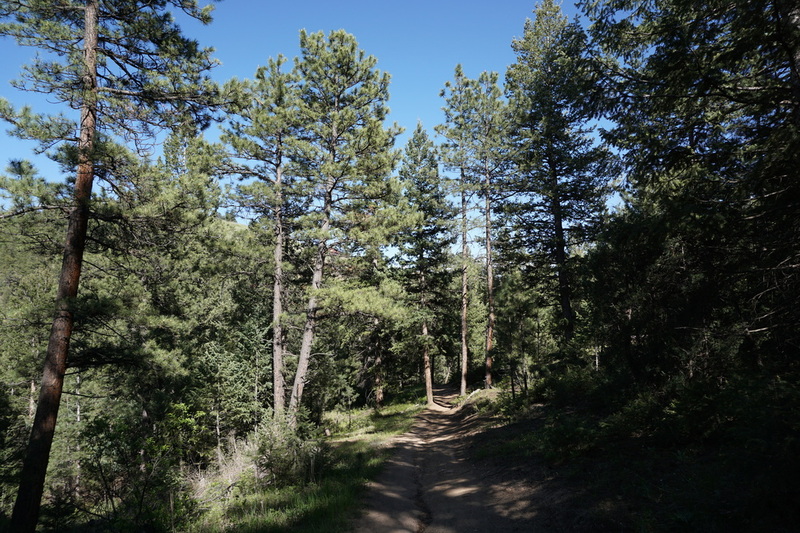 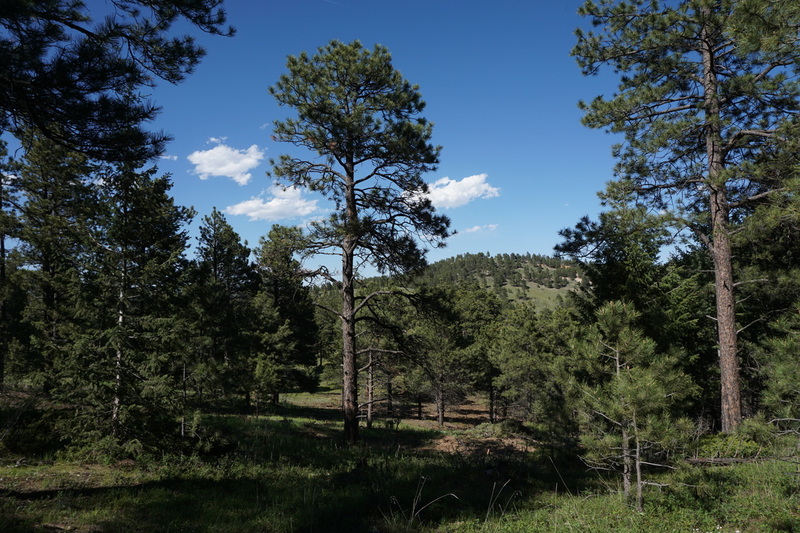 From the trailhead along Parmalee Gulch Road follow the Bear Creek Trail (BCT) as it parallels the road, then turns into the park to meet up with the West Ridge Loop in .8 miles. 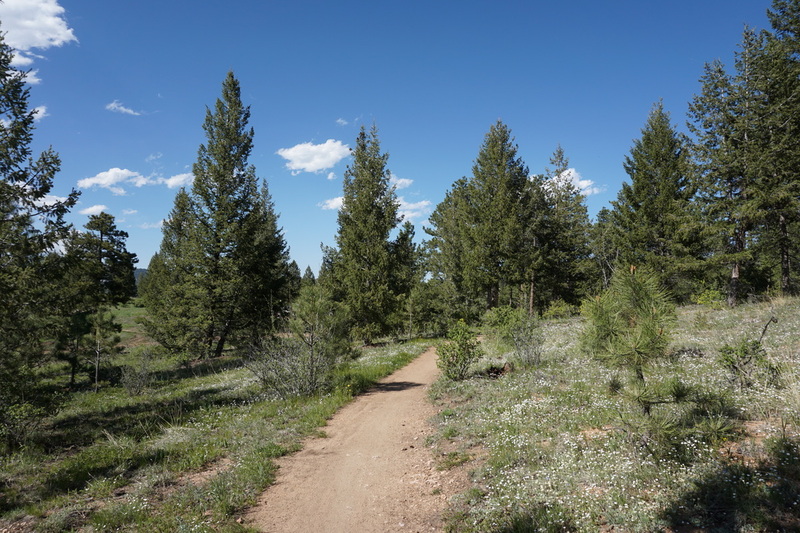 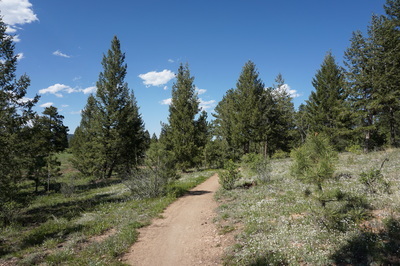 Continue along the Bear Creek Trail as it rolls along open meadows and through evergreen forest. There used to be a part of the Meadowview Trail that leads up to the Vista but Denver Mountain Parks has closed this part of the trail, hopefully not permanently. 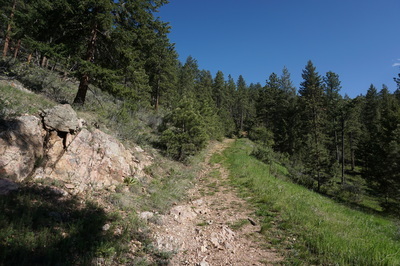 If the trail is open when you visit you can turn right from the BCT and follow this trail for .3 miles up the hill to the sign for "Vista." 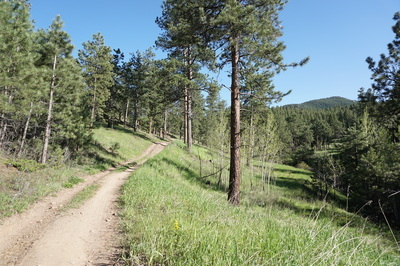 If the trail is closed you need to add another 1.4 miles to the hike. Continue along the BCT as it descends the canyon and meets up with the Meadowview Loop. 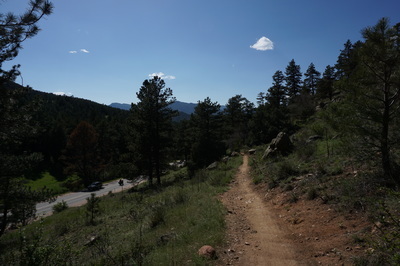 Turn right and follow the usually overgrown trail up a steep .5 mi to the sign for "Vista." 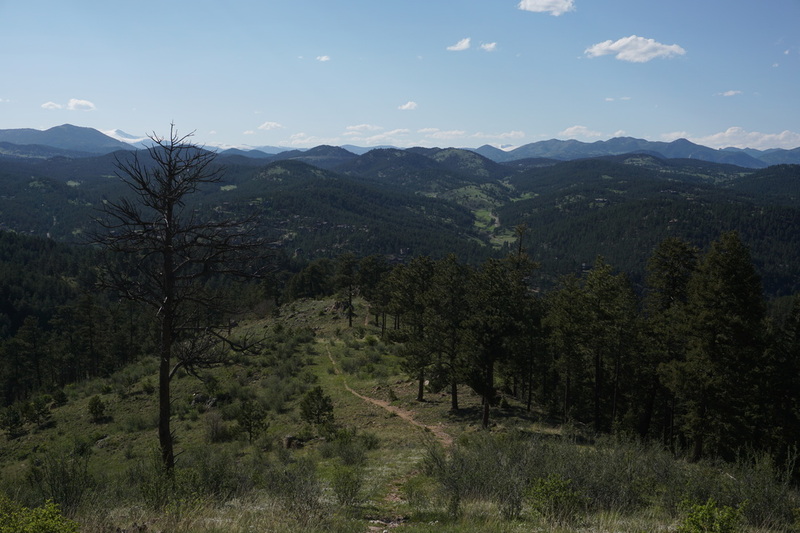 Turn right here and you'll quickly find yourself on the vista ridge, up close and personal with Mt. 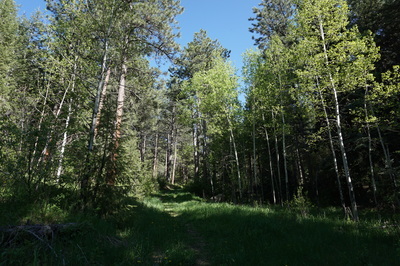 Evans to the West. 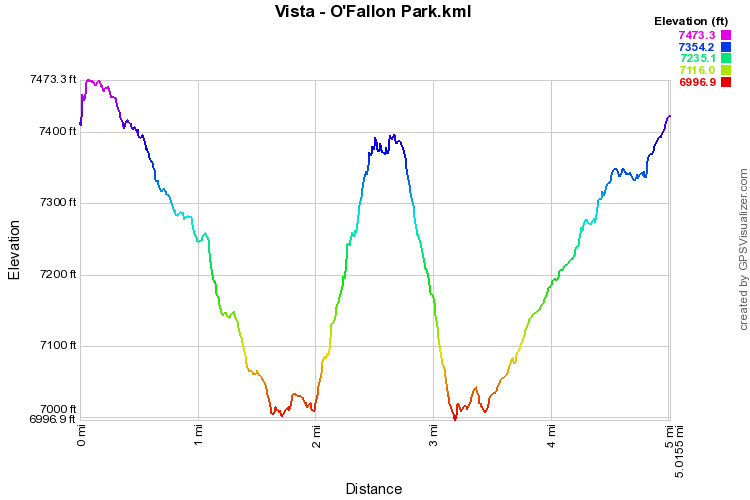 Follow the ridge for .1 mi to the quartz outcrop that is the Vista. 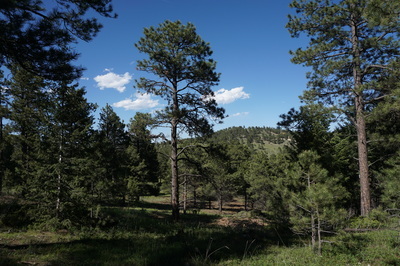 The view west to Mt. 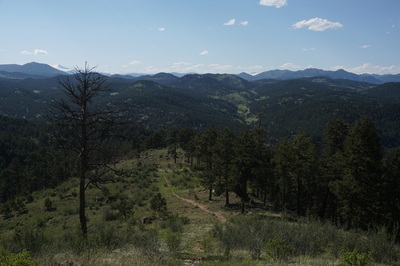 Evans is magnificent as is the view up the valley to the north. 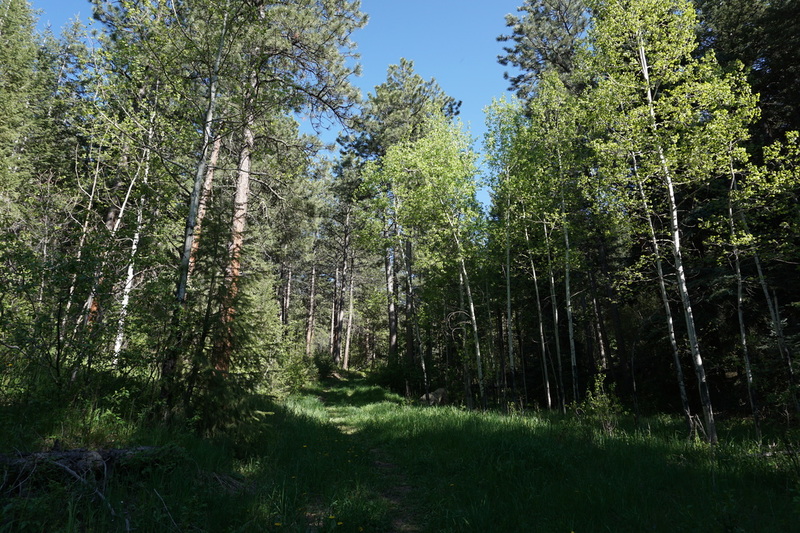 Relax and take it all in before retracing your steps.